Summer is in its full peek, as well as temperatures – all as expected in this wonderful city of Split, Croatia. You already settled with your summer holidays package, all set (probably booked in advance, using special early bird discounts). Congrats! – That is the way to plan summer holiday in Croatia. After spending few days settling and exploring nearby area, on your own or using special Split city guide provided by your travel agent, you might wish to go further, explore more micro locations and amenities around Split and nearby coastal and island towns. Yes! There is plethora of destinations just waiting to be discovered and enjoyed by you. But in order to do that, you need to organize and explore most practical and convenient methods of reaching these destinations One of best recommended options for Split boat transfer is by using our services as most recommended by many returning clients from all over the world, quality of service and punctuality had earned us the trust and confidence. 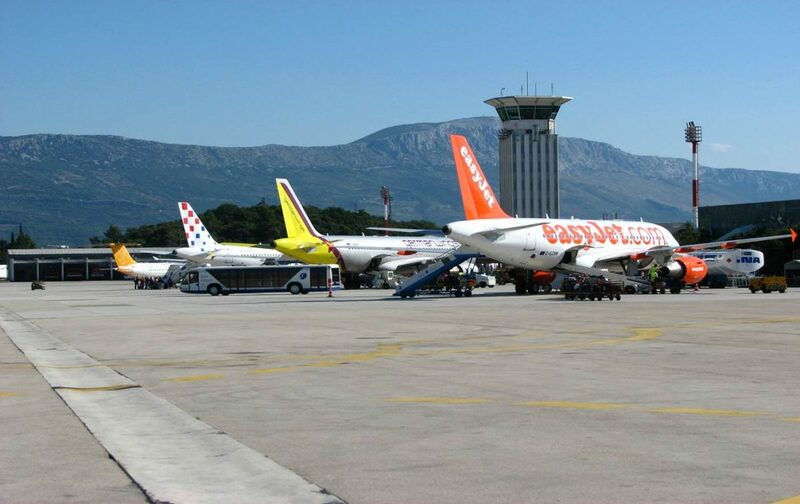 Need a boat or car transfer to Split airport or from Split airport ? Look no further because we offer both ! For as low as 60 Euros we will pick you up from your destination and drop you off safe and sound and in time for your flight! We can drop you off or pick you up with a car or van up to 8 people per van! 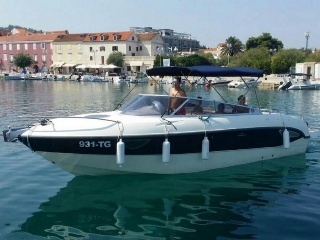 City of Trogir is around 30 kilometres (18.5 miles) away from Split by car or van, so around half an hour, but with a swift and quick boat transfer around 15 to max 20 minutes. 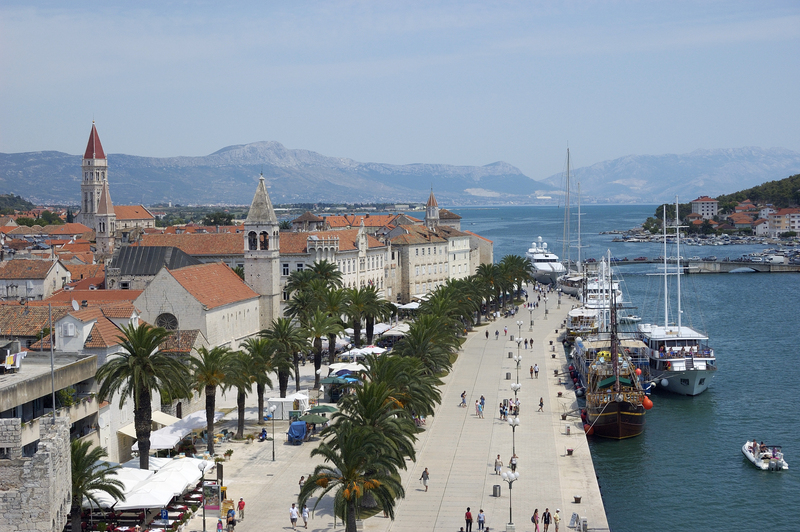 Trogir is a small city linked by bridges with the mainland and to a bigger island Čiovo. It has a lot of attractions for such a small place, places like St Lawrances Cathedral, Sacred Art Museum, Kamerlengo Castle and much more and you can read more about Trogir in our Split boat tours article or check out our Blue Lagoon tour that will also take you to Trogir. Šolta is a island around hour and a half from split with a boat transfer, longer if you take a ferry, shorter if you take a Catamaran. The islands surface covers 59 sq km, It has little cities like Rogač, Maslinica and Necujam, Necujam is the place where our boat transfer will drop you off by default, but if needed we can drop you off in a different city on the island ! The meaning of Solta comes from " Solentia " which means The Sun, thats how the Romans called the island in the 4th century. Island of Brac is possibly the most popular Isalnd in Croatia,thanks to its stone, that was used to build the Diocletian’s Palace in Split and not just the palace, the White House in the United States of America as well! 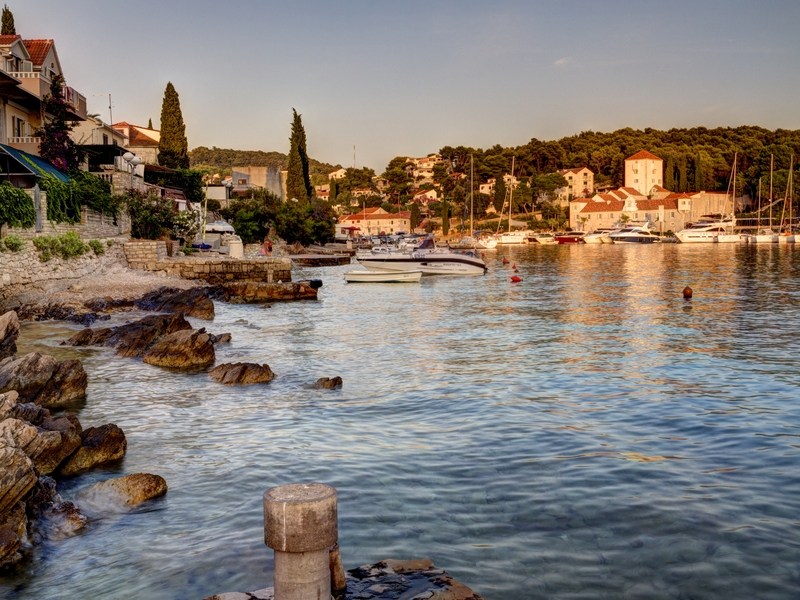 And thats not all, one of the most popular beaches in Croatia is also on Brac, the Golden Horn close to the City of Bol! Other places you can visit, Island of Brac Museum, Dragons Cave and Branislav Deskovic art Gallery he was a famous Croatian sculptor who originated from Pucisca which is on Brac. Milna is a little city and also a port which was very famous in history, opposite and very close from Milna is the Island of Solta that we mentioned earlier, Milna has a beautiful 18th-century church and inside you can find painted ceilings and marble altars. Hvar always holds the record for the sunniest spot in the country, around 2700 hours of sun per year.Hvar is a place that you want to visit, its a place if you care about seeing and being seen, close to Hvar you can find hundreds of yachts close to each other and youth that wants to party, but if thats not for you and you want some peace, after you had enough of Hvar you can go to Stari Grad and Jelsa which is more low key and has more of a suburb feeling. 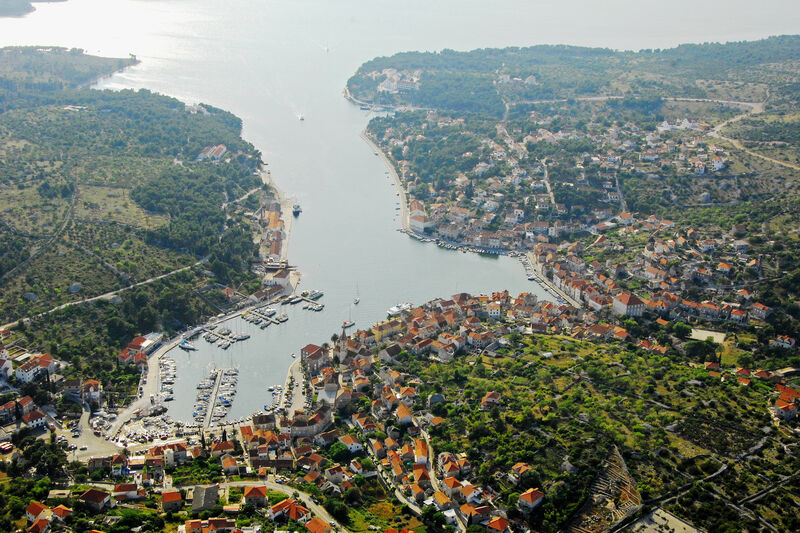 Right above the city of Hvar (its the name for the island and the city) you can see a fort called Fortica, the view from the fort is breathtaking looking down at the city and in the distance you can see the Pakleni Islands! Island of Vis is the second most remote island that is inhabited in Croatia, next to Lastovo which is the furthest, Vis is one of the most popular destinations thanks to its neighbouring island, Bisevo Island where the Blue Cave is located, Blue Cave is famous for for its beautiful and mesmerizing dark blue light (the word “Modra” means dark blue in Croatian) its entrance is also very small which makes it special when you are entering the cave because you need to duck down, you can read more in our special article that just talks about the Blue Cave boat tour. Korcula is a island 100 kilometers (62 miles) away from Split, it is rich in vineyards, olive groves and a lot of small villages that date back a lot in history, like almost every other cities and villages in Croatia. 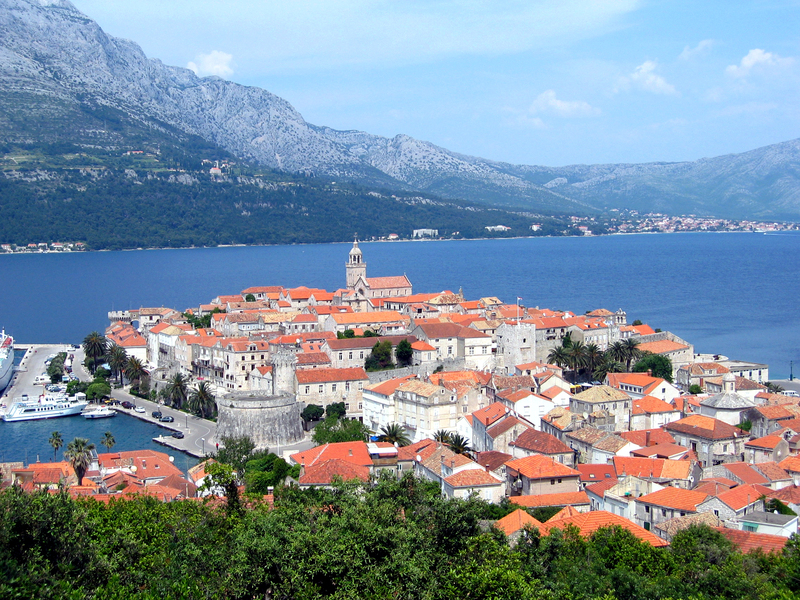 Korcula is the sixth largest island in Croatia stretching around 47 kilometers (29 miles). You can also find many forests on the island as well as sandy beaches, the northern part of the island is more flat and has more pebbly beaches. You can visit the St Marks Cathedral, two museums and the city defenses which consist of 12 towers and 20 meter high walls! Dubrovnik, next to Bol is the most popular destination for toursits and even celebretis, Kurt Russell, Richard Gere, Nick Nolte, Tom Cruise and many more, visited Dubrovnik! And if you are a fan of Game of Thrones, you surely know that Dubrovnik respresents the King`s Landing in the popular American TV series. The city walls is what makes Dubrovnik so special, there are also many forts that you can see, such as the Minceta fort, Bokar and Lawrence, that look west while two other forts Revelin and St John look to the east. There are of course two entrances to the walls, Pile Gate and the Ploce Gate, the pile gate is usually, durring the season very busy and crowded. There is also one Maritime Museum containing ship models, maritime objects and paintings. 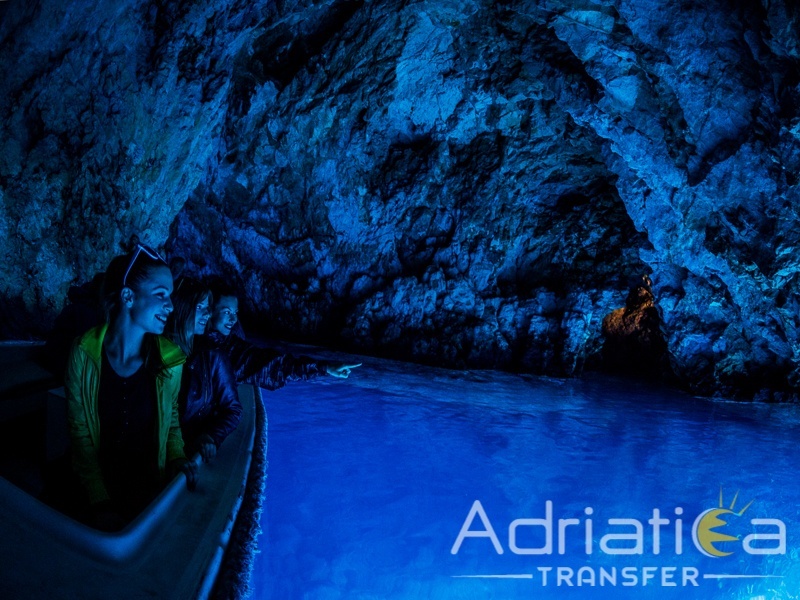 We are pleased to offer you affordable prices of boat transfers for above listed destinations in Croatian coastal region of Dalmatia. Note that this specific way of transfer is not only that, but also a small adventure! Not even remotely compared to drive in car or van on the crowded roads in high season where you get stuck in traffic on temperatures above 30 Celsius, is not something anyone wants. We are looking forward to having you with us and taking you to this beautiful locations that the Croatian coastline has to offer!